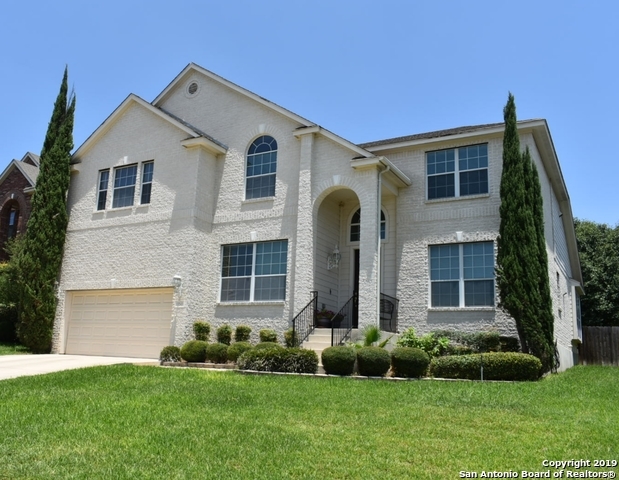 All SONTERRA homes currently listed for sale in San Antonio as of 04/25/2019 are shown below. You can change the search criteria at any time by pressing the 'Change Search' button below. "Stunningly unique granite, intricate tile work, detailed cabinetry and hardwood trim, compliment the luxuriously voluminous spaces that make this home perfect for both family living and entertaining in an architectural and interior design that, with light, color, texture, and an integration of indoor and outdoor areas, creates an overwhelming sense of warmth and relaxation. The photos do not do it justice. It's a must see!" 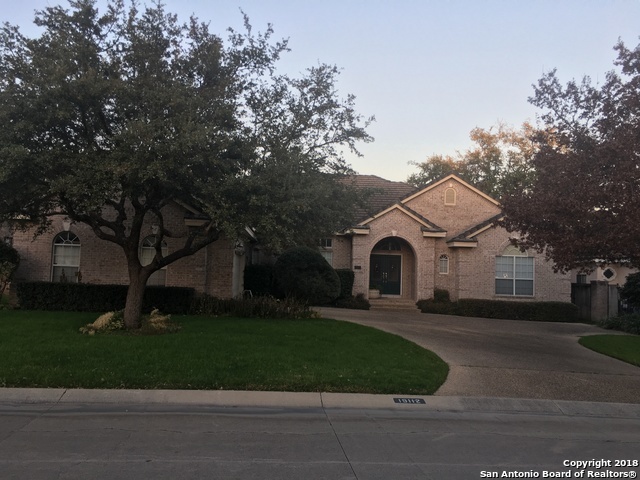 "MAGNIFICENT RESIDENCE ON THE GOLF COURSE GOURMET KITCHEN WITH OPEN SPACE TO FAMILY ROOM AND A VIEW OF THE GOLF COURSE, 4 BEDROOMS WITH 4 FULL BATHS IN THE PRIVATE SONTERRA THE WOODS SUBDIVITION"
"Gorgeous custom built home in the guarded community of Fairways of Sonterra. This homes features: Wood floors, gourmet kitchen, stainless steel appliances, double ovens, 2 large walk in pantries, wine fridge, island with downdraft, granite counters, breakfast bar, remodeled baths, California closets, game room & huge walk in attic space. This spacious home is great for entertaining. The sparkling pool, covered patio & lush landscaping offer the perfect place to relax with family & friends." 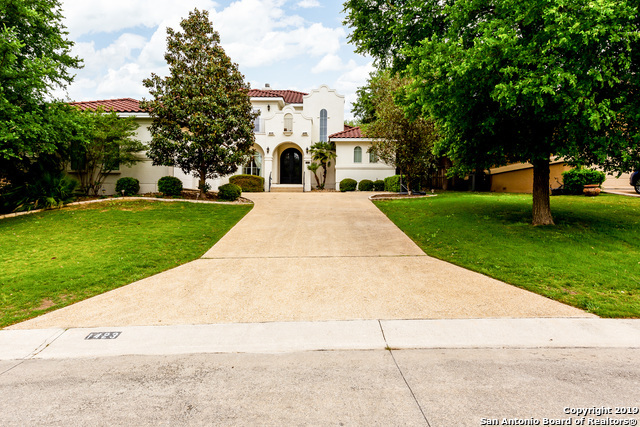 "This Spanish Mediterranean beauty is perched high on a hilltop creating impressive curb appeal. Quality design and construction by Holloway Custom Homes. Expansive picture window bring the outdoors inside! High ceilings, double sided fireplace, generous crown molding & tray ceilings, Custom Alder Cabinetry. His&Her closets in Master Bath. 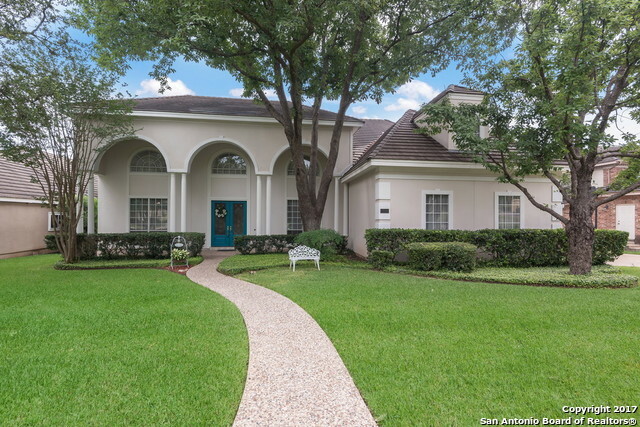 Storage, spacious bedrooms with Jack & Jill bath, 4th bedroom makes great mother in law suite. Large back yard has privacy and room for pool. DON'T WAIT, COME"
"Majestic two story home recently remodeled, and new roof features a beautiful array of accents throughout. The elegant tile & wood floors are present throughout the home. The kitchen counters and wall backsplash are granite & stone . Walk up the lovely wooden staircase accented with wrought iron rails. Upstairs the open foyer allows for a large game room or sitting area. A room upstairs can be converted into a sizable media room. Come see, this beautifully updated home."